Home Tags Posts tagged with "100 bolivares"
Venezuela’s President Nicolas Maduro has announced the withdrawal of the 100-bolivar banknote will be delayed until January 2, 2017. The sudden change of policy comes after days of economic chaos. In a TV address, President Maduro claimed Venezuela had been the victim of international sabotage, which had prevented new 500-bolivar currency notes arriving in time. Thousands of stores have closed because of a cash shortage, and the public have been forced to rely on credit cards or bank transfers. Many were left unable to buy food. Anger over the move led to skirmishes in six cities on December 16, the Associated Press reported. It said 32 people were taken into custody and one person was injured. In the capital, Caracas, people waved their 100-bolivar bills in the air and chanted “they’re useless!” – then turned and ran as police in riot gear fired tear gas. Nicolas Maduro’s government had said the scrapping of the 100-bolivar note was necessary to prevent smuggling. The president said the aim was to tackle gangs which hoard Venezuelan currency abroad, a move he has previously described as part of the “economic war” being waged against his government. Nicolas Maduro has said the gangs hold more than 300 billion bolivares worth of currency, most of it in 100-bolivar notes. He said there were “entire warehouses full of 100-bolivar notes in [the Colombian cities of] Cucuta, Cartagena, Maicao and Buaramanga”. Nicolas Maduro said one reason for withdrawing the banknotes was to block any of the 100-bolivar notes from being taken back into Venezuela so the gangs would be unable to exchange their hoarded bills, making them worthless. Venezuela’s central bank data suggests there are more than six billion 100-bolivar notes in circulation, making up almost half of the country’s currency. Economic experts fear scrapping the 100-bolivar note will have little positive effect on Venezuela’s chronic economic and political problems. Venezuela will replace its 100-bolivar banknotes with coins within 72 hours. The government hopes swapping the country’s highest denomination notes will help to stop smuggling and tackle shortages of food and other items. Venezuela’s President Nicolas Maduro says gangs operating in border areas will not have time to repatriate the notes. Nicolas Maduro’s critics dismissed the move as the latest desperate attempt by the president to tackle the economic crisis. 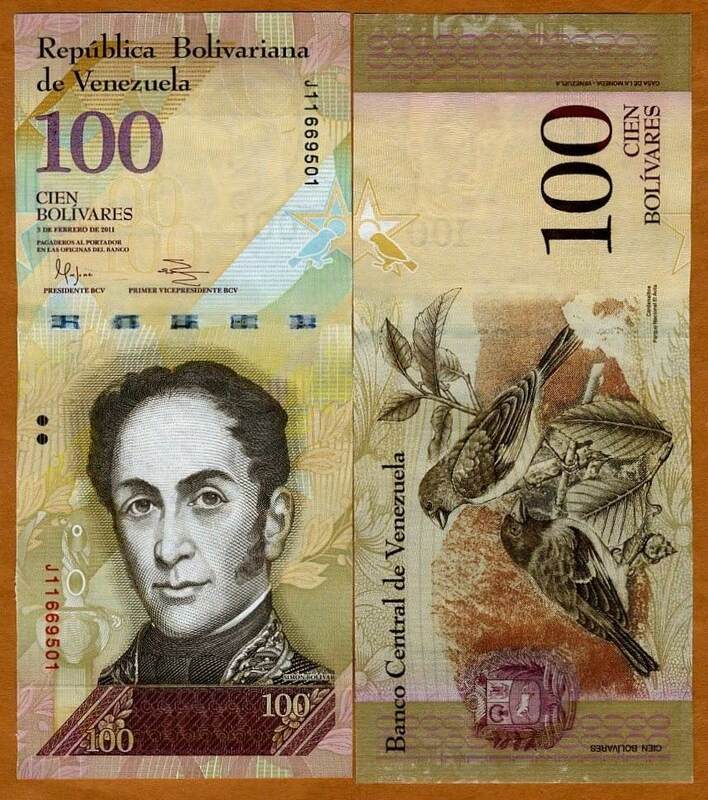 Others argued it would be impossible to swap all the 100-bolivar notes in circulation in the time allotted. The 100-bolivar note has lost most of its value over the past few years and is now worth about 2 US cents. Venezuela, which is facing a serious economic and political crisis, has one of the world’s highest inflation rates. Earlier this month, Venezuela’s central bank said that six new bills ranging from 500 to 20,000 bolivars would come into circulation on December 15. The government last published figures for inflation in December 2015, putting it at 180%, but the IMF estimates that next year’s prices will rise by more than 2,000%.